Aetna Medicare Supplement Plans, Aetna is one of the largest health insurance companies in America. They have millions of people that use their Medicare supplemental insurance plans all over the nation. If you are comparing Medicare Supplement companies, call us for an unbiased review on the best Medicare Supplement Plan for your area and budget 844-528-8688. Continue reading for our Aetna Medicare Supplement review. Aetna Medicare Supplement Plans are a great way to offset the costs that come from the gaps in Medicare’s coverage plans and can help you save hundreds or even thousands of dollars every year. If you’ve already made up your mind that you want to get an Aetna Medicare Supplement Insurance plan then you can call us at 1-844-528-8688 anytime. If you would like to know more about Aetna’s history, their plans and what other services they offer to people then keep reading for more information about this company and what it has to offer. There are ten different Medicare supplemental Insurance Programs that are listed from A to N. Of these plans Aetna offers Medicare Supplement plan A, plan B, plan G, plan N, plan F and the high deductible Plan F.
Aetna Medicare Supplement plans are also offered in Wisconsin, Massachusetts, and Minnesota, which are standardized in a different way. These states use a base plan plus riders to make the benefit package. Those states offer other standardized plans for Medicare Supplemental Insurance. The three options Aetna offers all have different price points and coverage options to allow you to figure out which one will be best for your budget and give you the most savings in the long term. Having all the facts in front of you will make it easier to make a decision for your best choice of plan. Guaranteed renewable for life - This means that Aetna will not non-renew your policy because of your age, medical conditions, or claims history. Your plan stays with you for life. Rate Guarantee for first 12 months - No rate increase during your first year. When your Aetna Medicare Supplement policy is issued you are locked in for the next twelve months – no surprises. Free Look Period of 30 days - Full refund if canceled in the first 30 days. This allows you to take a look at your policy for a month; if you decide it’s not the right fit for you, simply cancel your policy for a full refund. No questions asked! Spousal discount - if you and your spouse each have an Aetna Medicare Supplement Plan, you will both get a discount for joining the Aetna family. Portable - Your Aetna Medicare Supplement Plan follows you where ever you go, and is accepted by any physician or facility the accepts Original Medicare. Aetna must follow the Medicare standardized benefits plans, the same as all Medicare Supplement providers. The Medicare supplement plan G is fast becoming the most popular plan, giving the most benefits for the lowest amount of monthly premium. As you see by reviewing the chart below, Aetna Medicare Plan G provides comprehensive healthcare benefits but is priced lower than plan F.
The only coverage that is not provided in Plan G is the Medicare Part B deductible which is only $183 for 2018 which amounts to $15.25 per month. When you compare that with the monthly premium for Plan F, you will soon discover why Plan G is becoming the number one Medicare Supplement Plan according to sales. The second most popular Plan is the Medicare Supplement Plan N. As one of the fastest growing Aetna Medicare Supplement plans, the Medigap plan N combines comprehensive benefits with low monthly premiums. You do take a little more out-of-pocket expenses with the Plan N, but the lower premiums and rate increases tend to more than make up for the costs. Medicare Supplement Plan N does not provide coverage for the Medicare Part B deductible ($183 in 2018) or the Medicare Part B excess charges. Medicare Part B excess charges result when your medical provider charges more than what Medicare has agreed to pay under Medicare Part B. Providers are allowed to charge up to 15% more than the approved Medicare Part B limit. There are, however, a handful of states that do not allow medical providers to charge in excess of what the Medicare Part B allows. These states are Connecticut, Massachusetts, Minnesota, New York, Ohio, Pennsylvania, Rhode Island, and Vermont. Aetna Medicare Supplement Plan A is ideal for individuals that want a little better coverage than what’s available in Medicare Part A and B and don’t foresee needing a lot of services from doctors or hospitals. Although this plan has a very low monthly premium, enrollees are subject to having higher out-of-pocket expenses. Hospital Expenses – Plan A will cover Medicare Part A coinsurance requirements and provides an additional 365 days of coverage after Medicare Part A benefits are exhausted. Physician and Medical Expenses – Plan A pays the coinsurance requirement for Medicare Part B and any co-payments for hospital outpatient services. It’s important to note that Medicare Supplement Plan A does not cover the deductible required under Medicare Part A and Part B. The Aetna Medicare Supplement Plan B is a step up from Plan A. This plan is very affordable and offers additional coverage, especially if you prefer having a bit more coverage for hospital expenses. Physician and Medical Expenses – The Medicare Supplement Plan B will cover the coinsurance requirement in Medicare Part B (typically 20%) or copayments required for hospital outpatient services. Hospice Services – Your Supplement Plan B covers the coinsurance required in Medicare Part A. With the Aetna Medicare Supplement Plan B you will still be responsible for the Medicare Part B deductible. Medicare Supplement Plan C is quite a bit more comprehensive than Plan A or B in fact, only Plan F provides more benefits to policyholders. Hospital Expenses – The Medicare Supplement Plan C covers the Medicare Part A coinsurance requirements and the deductible. It also provides up to 365 days of additional coverage after the Medicare Part A benefits have been exhausted. Physician and Medical Expenses – Plan C also fills in the gaps in Medicare Part B by covering the copayment and coinsurance requirements, the preventative care coinsurance requirement, and the Medicare Part B deductible. Blood – Plan C covers the first 3 pints of blood for a medical procedure. Prospective applicants should note that Plan C will not cover excess charges that exceed the service limits specified by Original Medicare. 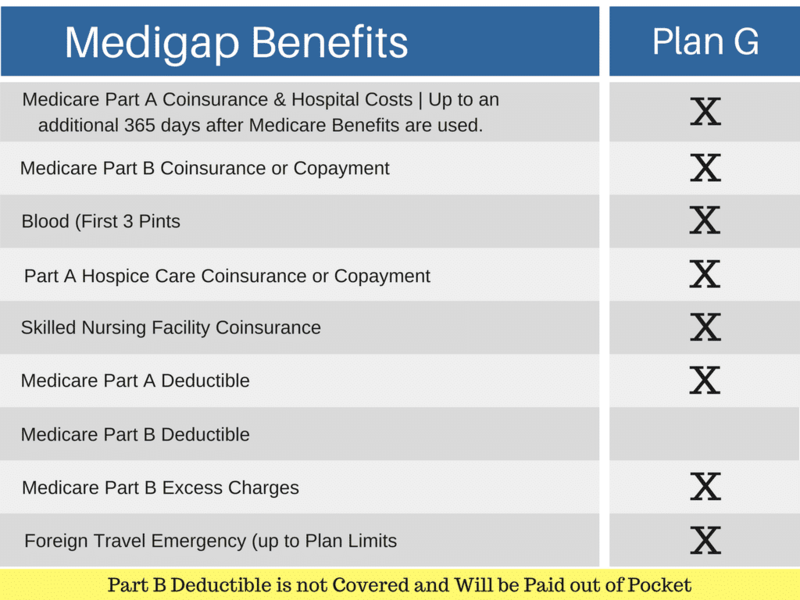 Medicare Supplement Plan D provides all the benefits of Plan C except for the Medicare Part B deductible and the Part B excess charges by medical providers. Please do not confuse Aetna’s Medicare Supplement D with Medicare Part D which is the prescription drug coverage. The Medicare Supplement Plan F has been one of the most popular plans for many years because of the comprehensive coverage it provides. Baby Boomers have discovered that once this plan is purchased, there will virtually be no out-of-pocket expense for doctor visits. But please note that comprehensive coverage means a higher monthly premium. The Medicare Supplement Plan F will make very good sense for seniors with medical issues and need access to medical services fairly regularly. 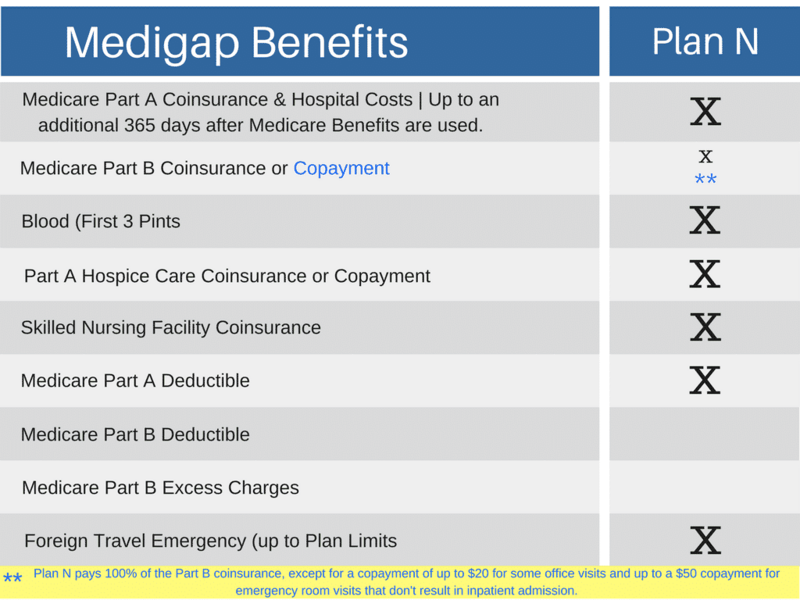 Hospital – Medicare Supplement Plan F fills the coverage gap created by the Medicare Part A deductible and coinsurance and it provides up to 365 days of additional coverage after the Medicare benefits are exhausted. Physician and Medical Expenses – Plan F also covers the Medicare Part B coinsurance, copayments, and Part B deductible. Also covered are Medicare Part B excess charges. Blood – Plan F covers the cost of the first 3 pints of blood not covered under Medicare Part A or B.
Hospice Services – Plan F covers the hospice care coinsurance or copayment under Medicare Part A. Skilled Nursing Facility – Medicare Supplement Plan F covers the coinsurance required for skilled nursing facility care. Foreign Travel – Supplement Plan F covers emergency foreign travel expenses up to the plan limit. The Medicare Supplement Plan F will not be offered to new persons entering Medicare starting in 2020. People that have a Plan F will not lose it but no new healthy blood will be entering. Aetna insurance was the descendant of Aetna fire insurance company of Hartford, Connecticut. The name of the company was a reference to Mount Etna which at the time was Europe’s most active volcano. The company separated it’s life insurance side from its fire insurance side in the 1850’s (The fire insurance company ended up becoming part of what is now Cigna) and began expanding and growing throughout the remainder of the 1800’s. CVS has begun the process of purchasing Aetna. The deal is expected to be completed by the second half of 2018 and the total price of the deal is estimated at 69 billion dollars. Customers of Aetna are not expected to see any changes to their policies as a result of this transfer of ownership. Aetna’s stock has shown consistent growth over the last five years as it has risen to triple its value from five years ago where it was at 60 dollars a share to now trading at 180 dollars a share. Revenues for the company have more than doubled since 2007 when the company reported 27 billion dollars in revenue up to now when in the past three years the company has consistent revenue of over 60 billion dollars. It is this stable and powerful economic base that allows Aetna to employ nearly 50,000 people in America and lets it work with over 1.2 million medical professionals with nearly 700,000 of them being primary care or ER doctors in over 5700 hospitals that allows Aetna to be an important part in dealing with so many patents and helping treat people’s illnesses. Aetna has roughly 50 million people using their services between medical insurance, dental insurance, and drug benefit programs. If you are interested in an Aetna Medicare Supplement plan, you can call us anytime at 844-528-8688 or email us from our contact us page. 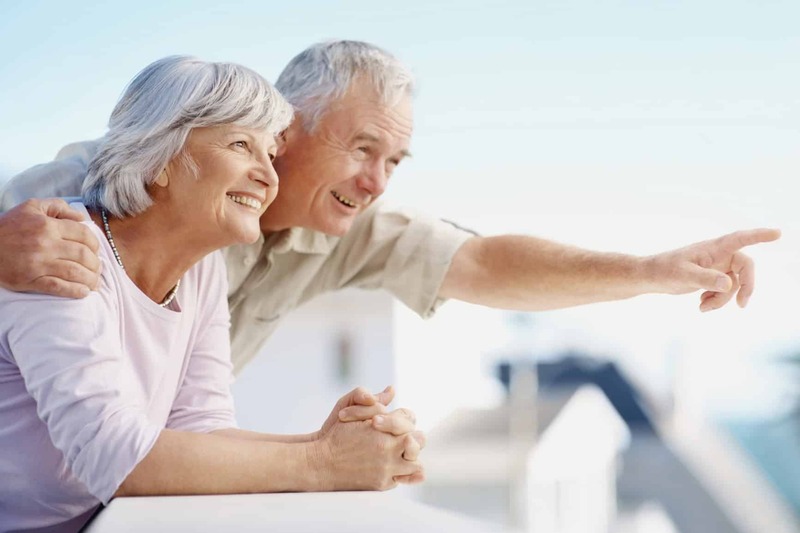 We carry all the top rated Medicare Supplement companies in 43 states and there is never a fee for our services.